Are you thinking about buying a home paying cash? If so, you are probably wondering if that is the best way to go. Besides, cash is king…right? Not so fast! Let me explain the pros and cons of buying a home paying cash. There are several factors to consider before you can decide if paying cash for your next home is the absolute best option for you and your particular situation. Here are some of the pros and cons of buying a home with cash. This information will help you make a more educated decision about whether this is the right option for you. There are far more pros for buying a home with cash than there are cons. Here are a few of the pros to consider before making your final decision. Paying cash for a home will give you an edge because the seller knows they won’t have to worry about you getting approved for a mortgage. This will also give you more buying power, especially if that home ends up in a bidding war. A cash buyer is always favored over other buyers who have to go through the mortgage approval process. When financing a home, even at a very low interest rate, that interest adds a significant amount to the cost of that home, especially when the loan is spread over a 15- or 30-year mortgage. Therefore, if you buy that home with cash, you could potentially save yourself over a $100,000 or even hundreds of thousands of dollars by doing so. You can close much quicker on a home if you pay in cash. The close for a cash buyer is likely to be in the 10-14 day timeframe on a single family home (a little longer for condos and other similar properties). Whereas a buyer using 3rd party financing will generally need at least 30 days to close. When home buying with cash, the buyer has the benefit of eliminating the possibility of 3rd party financing contingencies. That means a lender can’t make any demands or put any restrictions on your purchase as a condition of a loan. Because a cash buyer isn’t subject to a lender’s appraisal, credit approval, or any lender-mandated repairs, etc. When you buy your home paying cash you won’t have a mortgage payment. For most people, their mortgage payment is one of their largest monthly expenses. That means the money you would have otherwise spent on a mortgage payment could ultimately be put into a savings account or invested in the stock market with the potential for much higher returns. Additionally, since you won’t have a mortgage, and all the added paperwork that comes with having a mortgage, you won’t have to pay closing costs which usually comes out to about three to four percent of the price of the home. Owning your home outright means you can rest easy knowing that if you lose your job or encounter any financial hardships your house won’t be foreclosed on and you and your family will always have a roof over your heads (as long as you continue to pay your taxes). If you are buying a home with cash, you can buy a home in any condition. However, if you are financing a home, 3rd party lenders have some very strict guidelines on what they are and aren’t allowed to lend on when it comes to a home needing major repairs and/or replacements. In addition, if you find a home in need of major repairs or replacements, you might be able to negotiate a substantial discount because of those items. And, since you are a cash buyer, you won’t be turned down because the house doesn’t meet a 3rd party’s approval standards. A paid for home means you can access the equity in that home should an emergency or other financial hardship arise. You can think of a paid for home as a savings account of sorts. When you own your home, you don’t have to worry about any housing market fluctuations, which means since you don’t have a mortgage it can’t become upside down should the real estate market take a turn for the worse. [clickToTweet tweet=”Understanding pros and cons of buying a home paying cash will definitely help your decision. 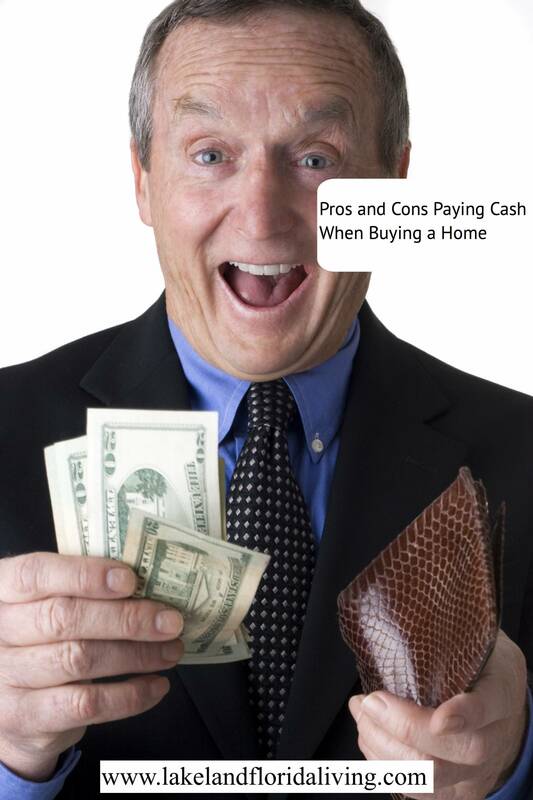 #homebuying #realestate” quote=”Understanding pros and cons of buying a home paying cash will definitely help your decision. “] The cons of buying a home with cash are fewer, but are, in some cases, of greater consequence. When you are paying a monthly mortgage on your home, you are allowed to deduct the monthly mortgage interest on that home. The tax code, at least for now, enables you to deduct that incurred interest each year on your taxes. This is a huge advantage and one of the biggest reasons you might not want to pay cash for your next home. Because if you do, you will be giving up the mortgage interest tax deduction which is significant. 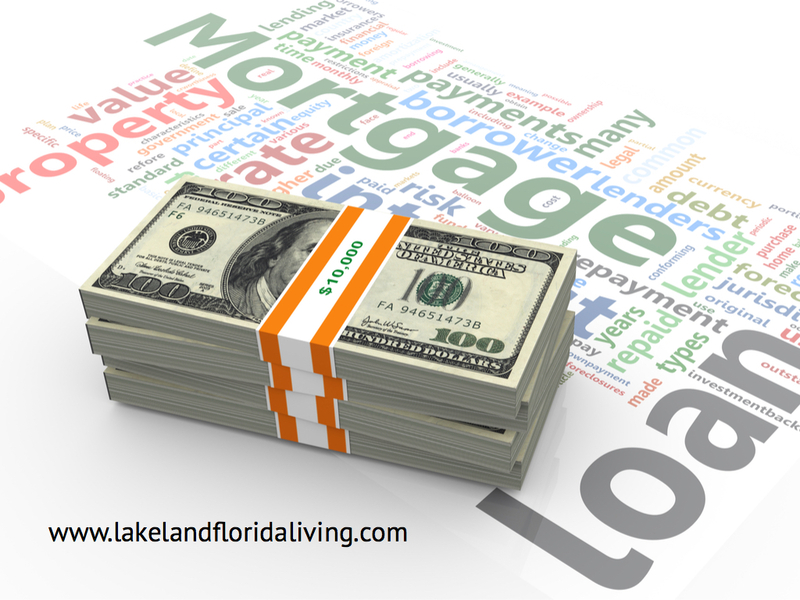 When you take a large amount of money and pay cash for a home, you are tying up your money. Money that is no longer liquid and can’t be easily accessed if needed. Additionally, in some cases, it might make more sense to put down 20 percent on a home and invest the rest if the possibility of receiving greater returns on an investment exists. Even though current home prices are on the rise, there are no guarantees they will continue to rise. If you remember the real estate market crash in 2008, you know this to be true. Therefore, putting all your money in real estate might be too big of a risk for some people. Just remember that what’s right for one buyer might not be right for another. That means there’s no one right answer. You have to weigh the pros and cons of buying a home with cash based on your particular financial situation. Then and only then can you decide which route is right for you. One thing that might help you determine whether or not buying a home with cash is the best way to go is if you can buy that house with cash and still have enough money left over for repairs, financial hardships, or anything else that might arise, then cash might just be the way to go. If you would like to discuss your situation, don’t hesitate to contact your local real estate agent for advice and recommendations based on his or her expertise and knowledge of the market and the industry. Whether or not buying home paying cash is your decision, you should definitely hire a local experienced buyer’s agent who can help you.